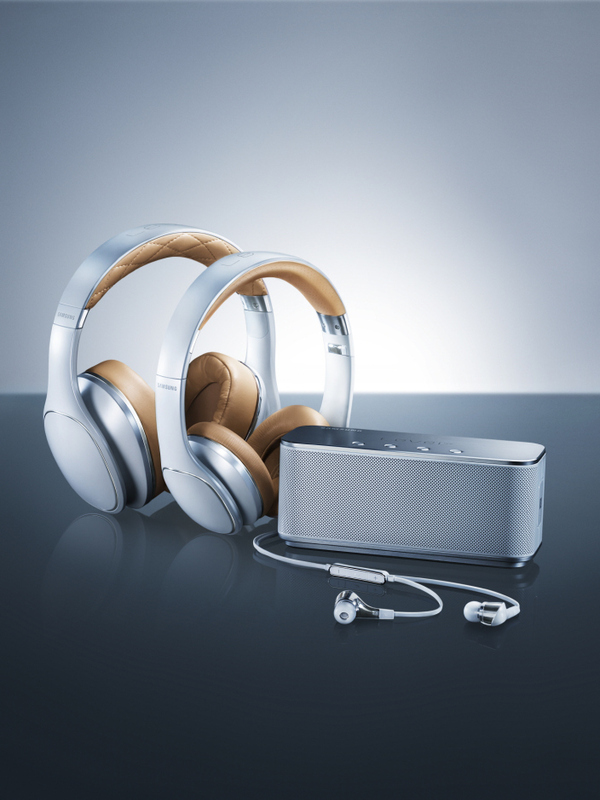 Samsung is taking its ship into Beats’ territory with its newest premium line of “Level” branded audio devices that will hit US shores via Gilt tomorrow and also Amazon on the 20th of July and Best Buy on the 27th of July . Samsung’s new lineup comprises of the Level Over, Level on, Level In and finally the Level Box. The Level Over headphones are the most expensive at $349.99 and offer the over-ear form factor with Bluetooth connectivity along with active noise cancellation. The headphones have a special feature termed “Smart Control Technology” that allow the user to adjust volume, change tracks and even answer and end phone calls by simply touching the side of the headphones. Whether this is another gimmicky Samsung feature or a compelling and defining one remains to be seen. Next in line is the Level On headphones that costs $179.99 and sit on your ears. These however do not have Bluetooth and connect to devices via wires. The Level On can be folded and stored, similar to some Beats headphones to allow greater portability. The Level In earphones are the cheapest of the three and cost $149.99. Samsung’s Level Box is actually a portable Bluetooth speaker and costs $169.99. A special offer on Glit.com allows buyers to purchase the Level On and Level Box for $299.99 hence saving around $50. All of Samsung’s new offerings look premium and promise to offer depp base and natural crisp sound. The least we hope is that these do not turn out to be like those super bass heavy audio devices that fail to highlight the highs and mids.